When General Mihailovich was captured in the Spring of 1946 by the Tito's Yugoslav communists, and it was announced that he would be put on trial in Belgrade, a number of Americans were deeply concerned about his fate. Many of these Americans, among them senators, congressmen, state governors, clergymen, jurists, educators, authors, and others, formed A Committee for a Fair Trial for Draza Mihailovich who would request that a Commission be formed to hear the testimonies of American airmen and officers who had been rescued by General Mihailovich and his forces in Yugoslavia. These airmen and officers felt compelled to do whatever possible to get themselves heard by the court that would be putting Mihailovich on trial in Belgrade on what they knew would be false and manufactured charges. 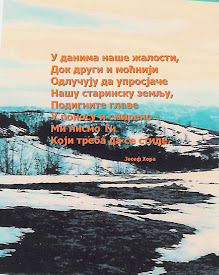 However, the efforts of the Americans would be denied by the Yugoslav communists who had come to power in Yugoslavia. The Americans refused to give up, as each one of them felt that a great debt was owed to General Mihailovich. At the request of the Fair Trial Committee, the Commission of Inquiry in the Case of Draza Mihailovich was formed. After hearing out the airmen and the officers for a week and documenting all the testimonies, the Commission, comprised of four distinguished American jurists - Charles Poletti, Arthur Garfield Hays, Theodore Kiendle and Adolf A. Berle - sent it's report along with 586 pages of evidence to the United States State Department in the hope that this would facilitate the opportunity to be heard in Belgrade before the Yugoslav court. 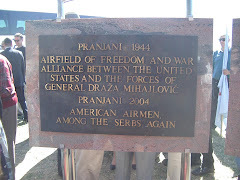 Unfortunately, the airmen and officers would be forbidden to testify in Belgrade on behalf of General Draza Mihailovich, and he would be executed by the communists immediately following the end of the trial. One of the members of the Commission of Inquiry in the Case of Draza Mihailovich was Adolf A. Berle, a lawyer from Massachussetts, who was also a diplomat, an author, and a professor. When the Commission formed in the Spring of 1946, Adolf Berle was teaching at Columbia University in New York. The following tribute was issued by Mr. Berle in commemoration of the 20th anniversary of Mihailovich's passing. "DRAZA MIHAILOVICH EARNED A PLACE IN HISTORY"
Draza Mihailovich earned a place in history. He proudly - and accurately - claimed to be the first guerrilla in Europe. On their way to seizing Greece in 1941, Hitler's armies demanded free passage through Yugoslavia. Prince Paul, Regent of the Yugoslav government, unwillingly acceded and was immediately overthrown as its army, cheifly through the action of Serbian officers, revolted, placed King Peter on the throne and resisted against hopeless odds. They were rapidly overwhelmed by the Nazi divisions. 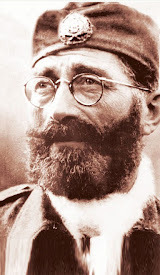 Mihailovich, then a colonel, rallied what support he could, took to the hills and organized a guerrilla force, the "Chetniks," to harrass the German lines of communication. He had support from the British and later the American governments. This was the first and at the time the only, organized force in the country opposing Axis occupation. The rival "Partisan" movement, headed by Josip Broz-Tito (Marshal Tito), and of communist orientation, was not organized until 1942, entering the struggle in 1943. 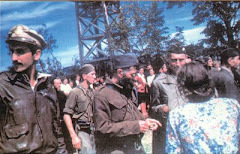 Partisans, almost from the beginning, fought against Chetniks and Italian and German occupying forces with equal gusto. But the Partisans had the support of the Soviet Union and presently, for diplomatic and practical reasons, Winston Churchill shifted British military help to Tito (for whom, as he told me, he also had a romantic admiration), withdrawing aid to Mihailovich. During much of the remainder of the war, American officers were on duty with both leaders. 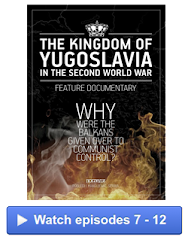 At the war's end, Soviet influence was ascendant, the American and Allied forces far away - and the Partisans gained control of Yugoslavia. 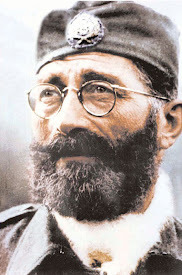 Mihailovich, still fighting with his Chetnik guerrillas, and loyal to the exiled King Peter, was captured by them in 1946. He was at once accused of opposition to the Partisan movement -- an opposition Mihailovich affirmed -- and in due time was executed by Tito's order. While he was Tito's prisoner, some of us made an effort to save his life. A lawyer's group in which I participated, endeavored to review all the available evidence and to state our conclusions. 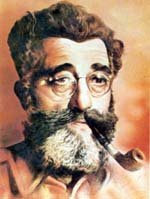 Unquestionably, Mihailovich had opposed the Communists during and after the war, but equally unquestionably he acted in simple self defense, forced on him by Partisan policy. The graver accusation was that he had collaborated with the Axis -- especially the Italian troops. Chetniks captured by Tito -- among them Milan Bandovic -- had been interrogated as early as 1944 in the hope of securing evidence of that collaboration. Reports of it had reached the American government but these were usually unsupported. Many were traceable to Communist propaganda. 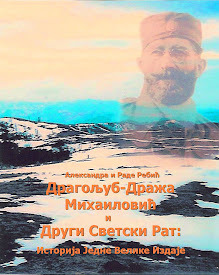 Most of them boiled down to the fact that Mihailovich and his Chetniks were as much -- perhaps more -- in danger from Partisans than nfron the Axis (particularly retreating Italian) forces, and defended themselves as best they could. 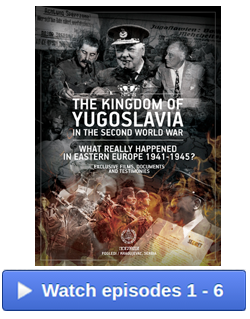 By the time of Mihailovich's capture in 1946, the real issue was whether Yugoslavia was to be consolidated as a Communist State under Marshal Tito -- Mihailovich, a Serbian, a non-Communist, a war hero, and an adherent of the monarchy and King Peter, was a plain political obstacle. Mihailovich's execution was not an act of justice. It was a political purge -- of a kind all too familiar in Communist and Balkan history. Disregarding politics, I am clear he deserved better, both at the hands of the Allies and of his own country. 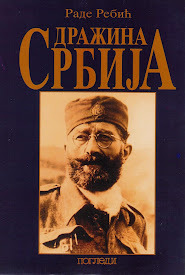 Under the Regency, he had sought to oppose extension of Fascist and Nazi influence into Yugoslavia. As part of the revolution dethroning Prince Paul, he helped organize armed resistance to the entry of the Axis forces (that movement, as Winston Churchill notes, infuriated Hitler to the irrational point of ordering Yugoslavia's destruction). 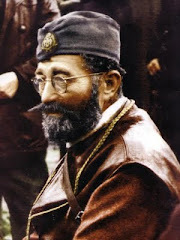 His Chetniks operations contributed to a measure of delay to the German conquest of Greece. He pinned down German troops in Yugoslavia which otherwise would have been employed in the 1941 campaign against the Soviet Union. As matters later developed, these few weeks' delay appreciably contributed to the eventual Nazi defeat in Russia. Mihailovich admittedly attempted to prevent the Communist revolution in his country. History will make of that what it may. But history cannot deny and will not forget that Draza Mihailovich was outsanding as a brave and determined patriot, loyal to his king, defending his country against foreign enemies, forwarding the cause of freedom as he conceived it, at the cost of his life. His memory is entitled to honor and respect.